Shadowbox fences are designed to look incredible on both sides of the fence. You do not have to worry about which side of the fence is in or out, thus it is neighbor friendly. The fence looks aesthetically beautiful to you and your neighbors. Another advantage of shadowbox fence is that it lets air flow through the fence. Because of its design and spacing, shadow box fence is the most durable fence type. Is a Shadowbox Fence the Right Choice for Your Property? When it comes to installing fences in the yard, there are many options to choose from. Some people prefer chain-link or vinyl, while others want aesthetics attached to wooden fences. If you are looking for a wooden fence with aesthetics, choose shadow box fence. Cost considerations are always a factor when it comes to choosing fence style. Opting for wood instead of vinyl will save you some money. Wood fences don’t necessarily have to indicate your desire to ward off from the world- the reason many people prefer shadow box fences. Among the many benefits, they allow enough air and light to pass through the fence every day. The cool breeze on a hot day can be soothing if you want to relax. The shine from natural light offers a brighter atmosphere. Shadowbox fences are characterized by big spacing, which dilutes impacts from heavy winds and those that persist for a long time. Choosing a standard picket fence will not give you the same features like the shadow box fence. If you are one of those people who value their solitude, consider installing shadow box fence. It will look nice on you and your neighbors’ side of the fence and will not preclude your neighbors from warding off. Your property’s curb value is visible when you install shadow box fence. Other fences are designed to only beautify on side of the yard, but with shadow box fence, the look remains the same on both sides. Any potential home-buyer or passerby is more inclined to check out the residence because of its interior and exterior visual appeal. However, the investment for shadow box fence can still make people wonder if they should take the plunge and get one. When you look at the long-range image, the answer is obvious, given the ability of the fence to increase property value and boost sales. Shadowbox fences are becoming more popular for their aesthetic values. 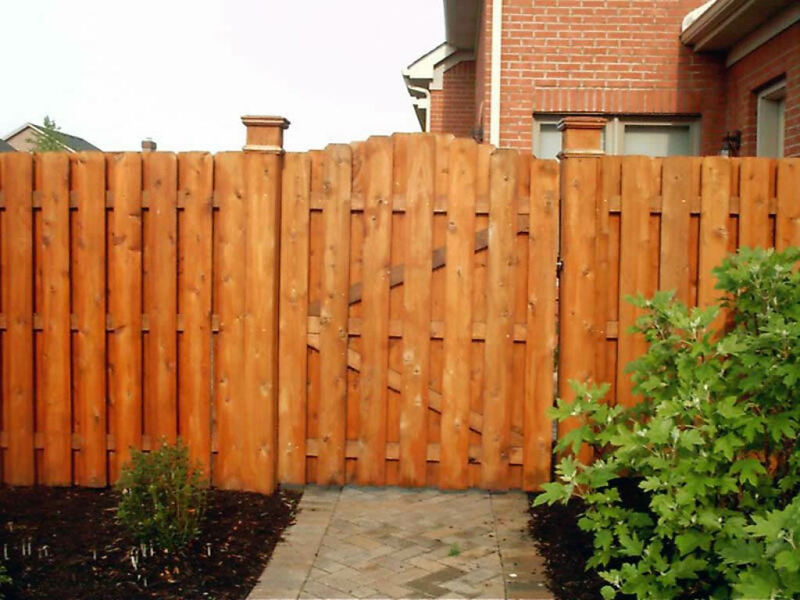 The main raw materials used to make the fence are treated cedar or pine. However, cedar rails and pickets are highly preferred to pinewood because they do not bow or warp easily. We would love to speak with you further to fully understand your project and needs. Once we know the size of fence you need to have built we can supply you with an accurate quote. With all the shadow box fences we create, we take additional steps to make sure we install the highest quality fence. We install both western red cedar and treated pine fences. We use the right nails on each material. We use aluminum nails for cedar and hot dipped galvanized pine- just as recommended by nail manufacturers. We also frame all the gates we build using different types of framing materials such as cedar framing. Cedar is a great material because it is lightweight and durable, hence our gates are stable, unlike pine-framed gates, which sag easily.